only. Note: If you want to display the sharing bar below post titles then paste the following HTML code just above but if you wish to display the sharing bar at bottom of post then paste the following HTML code just below If you want to display the sharing bar twice at both these locations, then paste the following HTML code twice once above and once below . Discover the joys of sharing your life with a pet. Learn the health benefits of being a pet owner. Find the best type of pet that would be the perfect companion for you. We cover information on pet care, and health issues. Read heartwarming animal stories, and more. CLICK HERE TO VISIT OUR TABLE OF CONTENTS FOR EARLIER POSTS! Did You Know That Dogs Can Tell Time with Their Snouts? The theory has been around for some time, but a new book backs up the idea that 'dogs smell time’. “As each day wears a new smell, its hours mark changes in odors that your dog can notice,” explains Professor Alexandra Horowitz, founder of Barnard College's Dog Cognition Lab. The dog expert makes the claim in her new book 'Being A Dog'. 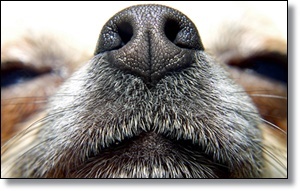 While for most humans, the world is primarily visual, for dogs, their world is based on scents. Dogs are often used to sniff out drugs, explosives, disaster victims, dead bodies and even cancers, thanks to their extraordinary power of smell. Even for humans, scents can give clues as to what time of day it is, such as the smell of freshly brewed coffee in the morning. Professor Horowitz believes that dogs can detect subtle changes in scent during the day, giving them a sense of time. “Smells in a room change as the day goes on. Hot air rises, and it usually rises in currents along the walls and will rise to the ceiling and go kind of to the center of the room and drop,” she explains in an interview with Fresh Air. “I think dogs can smell that through the air movement in a room” she said. This could explain why a dog knows when its owner is due to return home. If the dog is able to detect the level of its owner's diminishing scent since they left the house, they may be able to predict roughly when they are due to come back. Pageviews - Thanks For Visiting! Will My Dog Be Ok If I Adopt Another? Click Below To Search Categories! Barona Whiteing-Green. Theme images by enjoynz. Powered by Blogger.